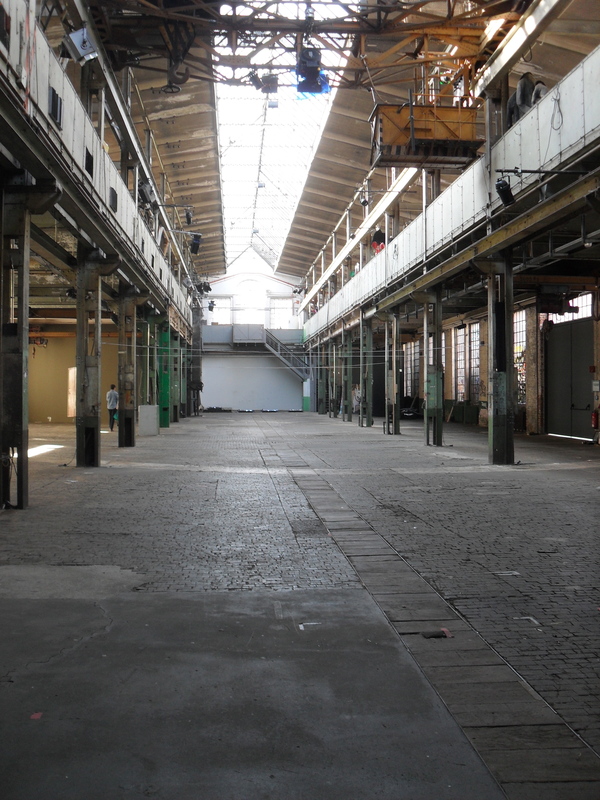 BOOK PRESENTATION Sept. 14, 3 P.M. – Stadsschouwburg Amsterdam. This photo is on the cover of the 2nd revised edition of my book on acting (Dutch version): TONEELSPELEN IN DE TEGENWOORDIGE TIJD. 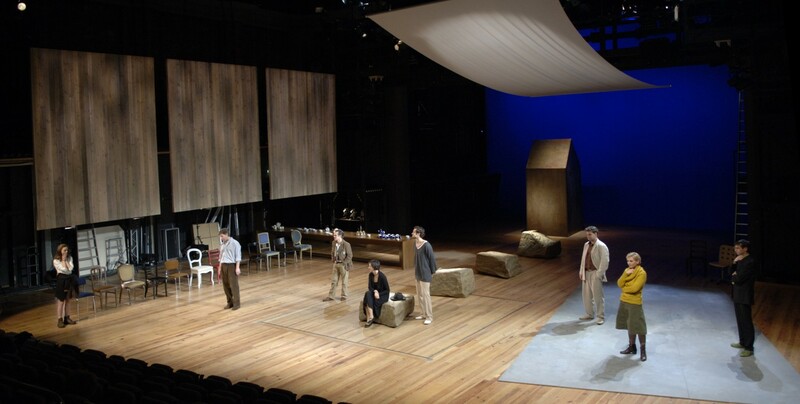 The presentation takes place within the annual Theater Festival. 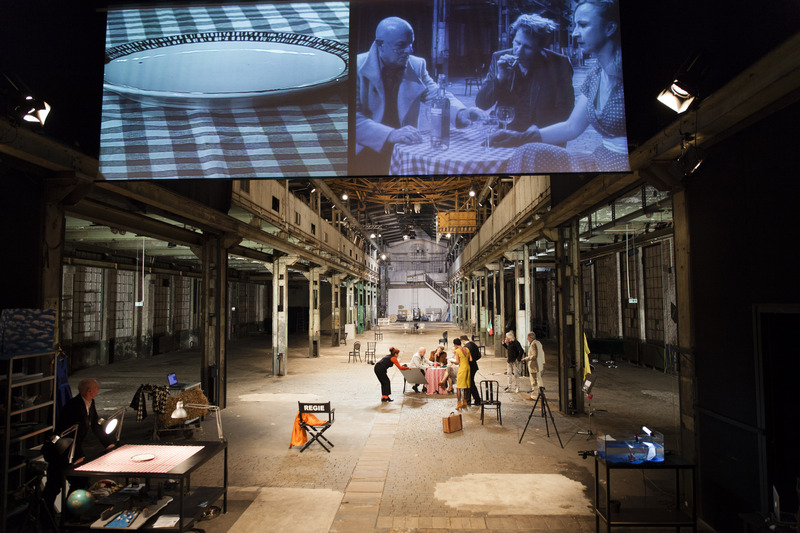 The photo (by Seweryn Selazny) is from my last play TRANSIT, which I directed at Theater Willy Praml, 2015, in Frankfurt a.M., Germany. 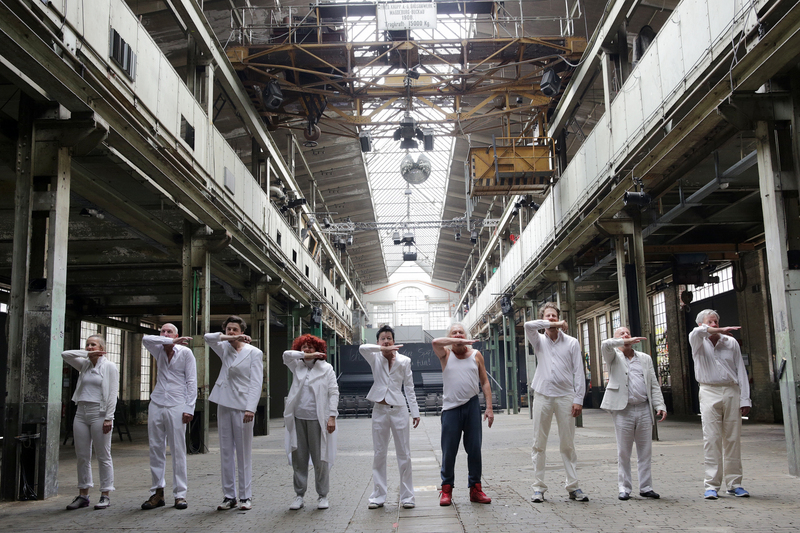 Frankfurt, Theater Willy Praml, Naxoshalle, March 25 and 26. Two days after opening night , August 28, 2015, Chancellor Angela Merkel opened Germany’s borders for the flood of refugees desperately fleeing the violence in Syria, other Middle Eastern Countries and Africa, purely on moral grounds: Merkel reminded her countrymen and -women of their own history of 75 years earlier when, in WW II, Jews and Hitler’s political adversaries had to flee Germany for fear of persecution. They couldn’t live any longer in the country where they were born and wanted to work, to study, to love, have a family. It would be inhuman to refuse these refugees entry into Germany, just as it was a gesture of humanity of European countries in the thirties to open their borders for German refugees. This grandiose gesture of the Chancellor soon was followed by a political crisis which lasts till today. Merkel’s decision provoked a strong political reaction, out of fear, to keep the refugees out. In 2017 political parties have appropriated the fear of the people, they own this controversy and fight it out in elections. Many don’t want strangers, refugees don’t feel welcome. This has become a European and worldwide trend. The play TRANSIT has gained an unexpected new actuality. Not so much because of its political aspects and implications, but because of its humanism: the political context of Jews and Communists in France persecuted by the invading Germans in 1940 is different from the ideological backdrop of today: Jews would be Muslims, Communists would be Terrorists, ‘adversaries of the regime’ would be ‘economic refugees.’ But the situation is similar: what happened to the German refugees in France, happens today in Germany and Europe with the refugees from Syria: they are sent back, have to move on to other countries, or they have to hide. TRANSIT is about people who have to move on, while they thought they had found a safe haven in France. Anna Seghers was one of them. In her novel she follows the fate of the people she met on her flight – their plight, their fears, their desires, their desperation, their cunning, how they could save their skin, how they could get from Paris to Marseille, how they had to deal with the bureaucratic hurdles to get the right papers, how to get food and money to buy a ticket for the boat that would bring them to the ‘free world.’ The characters in the book and in the play are individual people, who fight for themselves, for their naked existence, they are people who want to live, work, study, love, just like today’s refugees. Sometimes they loose everything they have on their way, sometimes even their lives. TRANSIT is about humanity beyond politics. 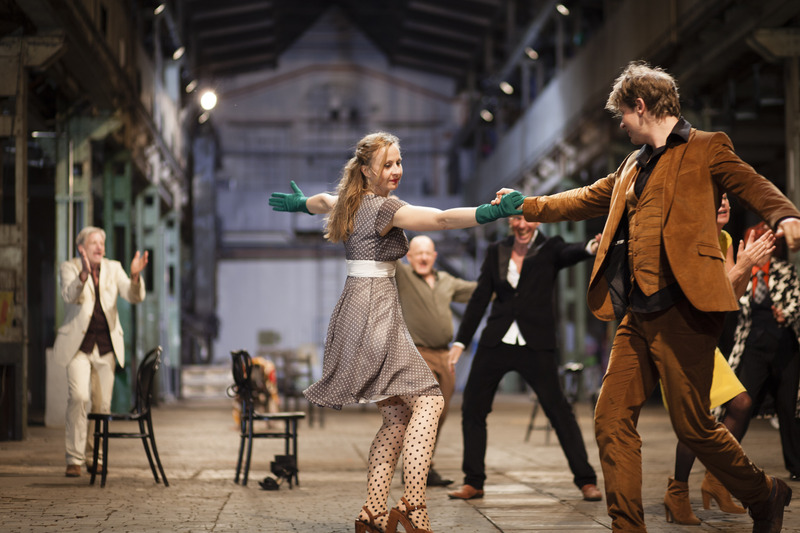 TRANSIT is a collaboration between Theater Willy Praml and Wu Wei Theater, both from Frankfurt a.M, with Dutch director and writer Paul Binnerts. 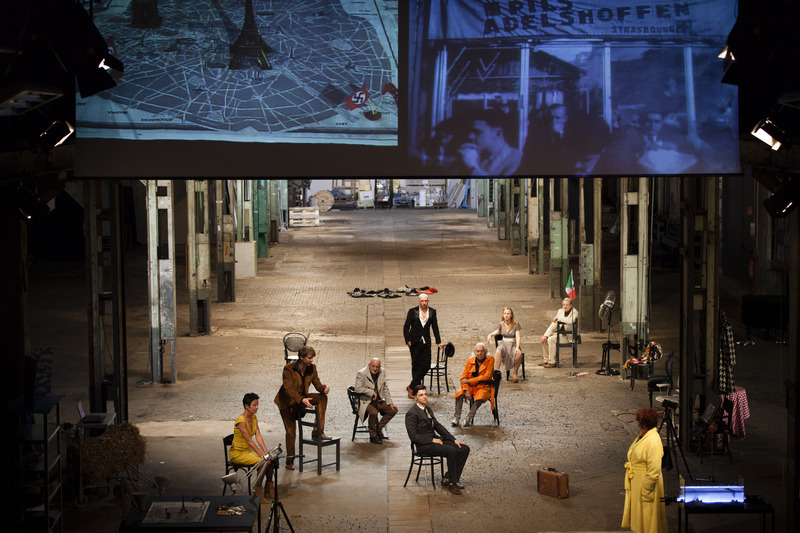 Actors: Reinhold Behling, Jakob Gail, Birgit Heuser, Sam Michelson, Willy Praml, Angelika Sieburg, Verena Specht-Ronique, Michael Weber, Andreas Wellano. We started our workshops last year and we were encouraged by the response and the accomplishments of the participants in this exciting event to continue. We have been doing a lot of work lately, together with our collaborators on the ground Greg Taubman (who created our brochure) and Chie Morita in New York, in LA Diana Wyenn (who created our website), Lizi Watt and Kestrel Leah (of Paloma Street Studio in LA, and Kristin Olson in Portland. This Spring we hope to attract again a group of enthusiastic and talented people: actors, dancers, singers, performers in the broadest sense, directors and choreographers, and as we have experienced, they don’t have all to be professionals. Coming summer I will be teaching another Acting in Real Time workshop for NYU Tisch Summerschool in Amsterdam, and Nancy and I are teaching for the Amsterdam Theater School/ATKA in August/September. Rehearsals TRANSIT well under way: two and a half weeks down, four weeks to go, première August 27. 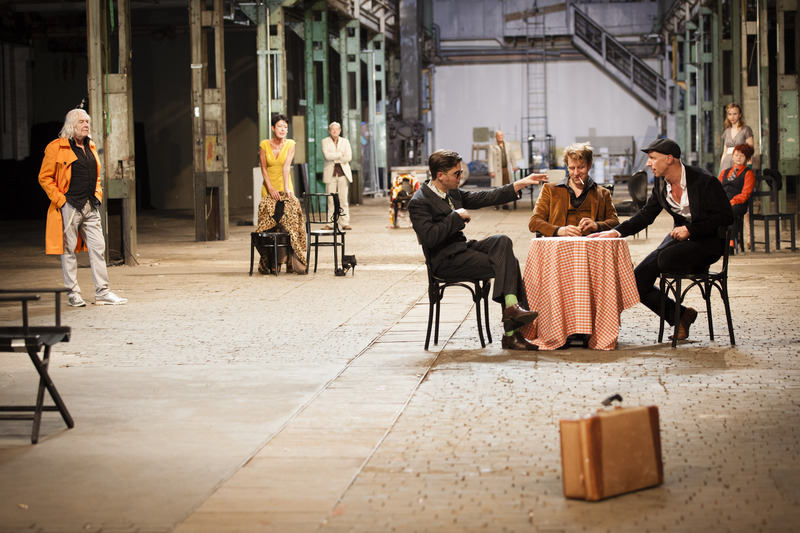 While the Germans – and other European countries – are acting in real time on the burning refugee issue, the actors of TRANSIT are trying to ‘act in real time’ on their own refugee issue of 75 years ago. Mit dem Führer durch Paris – 1940. 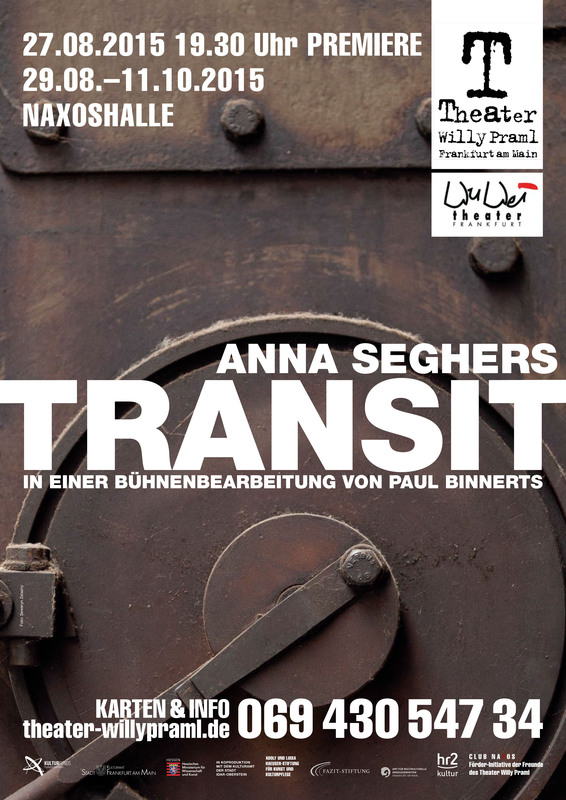 Commissioned by old friends of two theater groups in Frankfurt (Germany) – Theater Willy Praml and Wu Wei – I have been working, since September 2014, on my new play TRANSIT, based on the novel by Anna Seghers. I finished the first draft on May 1st. It’s my first play written in German. Now I will direct it. Subject: German refugees who have escaped the Nazi’s in their own country, then have to flee for them when the latter occupy France, May 1940. Via collaborating ‘Vichy France’ they desperately try to find a way to get to the ‘free world.’ For that they need visa: entrance visa (for the USA, Mexico), transit visa (for the countries they need to travel through in order to reach their destination), exit visa (out of France), and a million stamps from the french authorities. Marseille is the last open port, there are only a few ships… there are more refugees than inhabitants of the city, food is rationed, secret police are everywhere. In the melée of thousands of desperate people we see how some individuals try to escape… some succeed, some don’t… and there is a tragic ending love story. Rehearsals of TRANSIT have begun Monday May 18th with the reading of the first draft of my play. In the following days I have edited the text into a performable play, read the text twice with the actors, and cast the actors into their roles (22 roles for 9 actors). 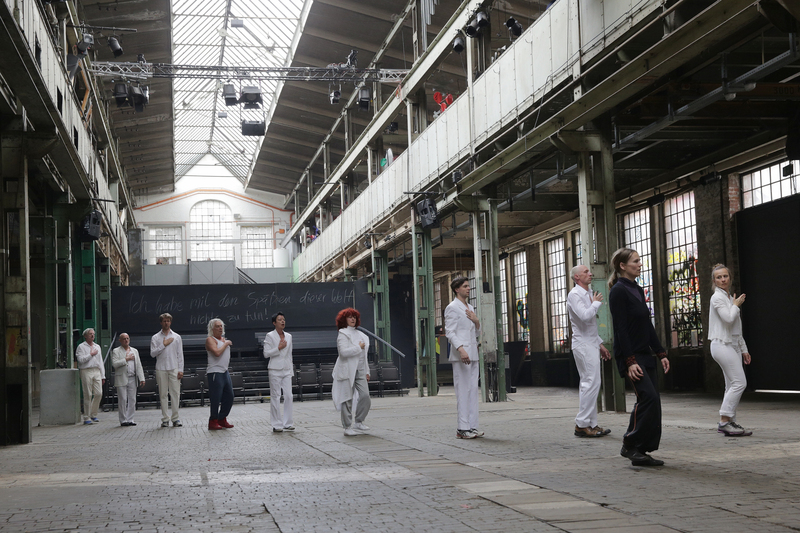 The performance, with dance and video will be in the Naxoshalle, an impressive ‘industrial cathedral,’ built before the Great War in 1906. It was taken away from their Jewish owners after the Nazi’s had come to power, starting on August 27th.